If someone insults you, can you shoot a snappy comeback? How good are you at this? I generally embarrass myself. Are you one of those people who have these amazing comebacks.... about thirty minutes after the incident? DOES: helps you organize the words in your head so you can use them when you need them and use them efficiently. GIVEAWAY: Win both of these awesome brain-building games! Once when I was in high school, someone shouted a racial slur to me. It was the dreaded C-word! AGH! I used to hear such slurs when I was in elementary school. But by the time I was a teen, I was over it and these fools just reminded me of the idiot bullies in elementary school. Can't you think of something better to say? That's so first grade! But you know what I said instead? That was it- that's all that came out of my mouth. "How old are you?" How is this a comeback? My friends who were with me at the time had been just as pissed off as I was but when I said that.... the next thing I saw was them trying very very hard to contain what could only be a violent eruption of laughter. I can't blame them. I made absolutely no sense and it was hysterical. 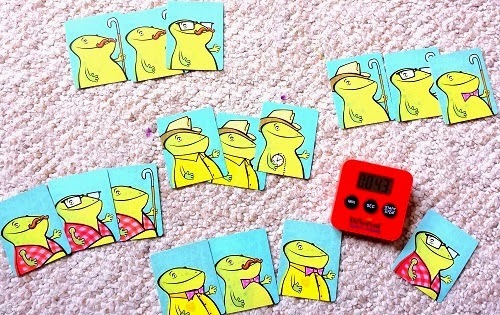 QUICK- make three groups of frogs each wearing the donning the same thing, tie, mustache, vest, etc.. I frequently race against #1. He has quick hands and that's his edge over me. At least one of them. I got 43 seconds here. That's kinda slow in this house. Are you curious what you'd score? BTW, there is a sand timer but I used my own. That was almost thirty years ago. Obviously, as you can read clearly, I haven't forgotten it. Nope, not at all. And guess what, I still can not make a snappy comeback to this day. Find Those Words- Shoot, Where Are They? Today I say that I have trouble with word recall but I think the larger problem is just organization. It's really hard to have an organized mind. I think so many things are interesting and so I can associate it in a variety of ways. This actually helps me to see all the amazing things a single toy has to offer but when it comes to talking out loud, I just don't make much sense sometimes. It's funny how I see my kids on the same track. When they get excited and try to tell me something, it literally sounds like someone took all the words of the sentence they are about to say, stirred them up like crazy and let them pour it all out before they had a chance to collect themselves. I love when my son just gets it. (I only pretend to be disappointed when he beats me). Does this type of storytelling spillage happen with your child? Even if it doesn't, listen up because I am going to show you two speech coaches who come conveniently in the form of very well-designed card games. To me, it's simple: if you speak well, you have a duty to fine tune it, and if you don't speak well, then here is something that is very useful! You win either way with Categories or Tribbit. I love them both. Just for the record, I should tell you that I didn't come up with this idea on my own. I learned about this from Nicole Kolenda, an experienced speech and language pathologist who treats kids in her private practice AND happens to teach at the university level in schools such as Columbia and NYU. 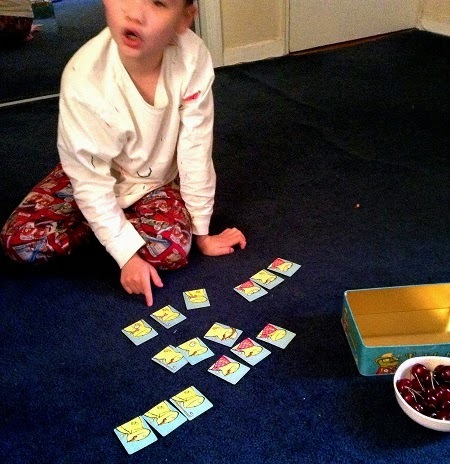 She said that categorizing games helped a child with his communication skills. She uses both Tribbit and Categories with her clients and everyone (including the kids) thinks they're great. "They both teach children to look with a critical eye and to think about how to categorize pictures based on different themes," she said. I love the size of Tribbit cards. It's not too big and not too small. Compare with our playing cards that I picked up in a DC convenience store. 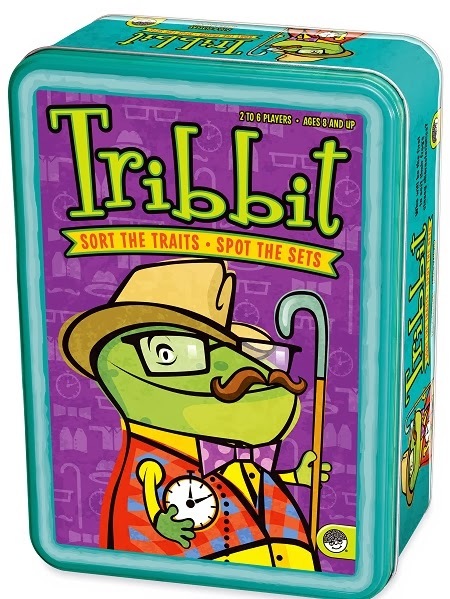 Tribbit was definitely a hit with her older students. 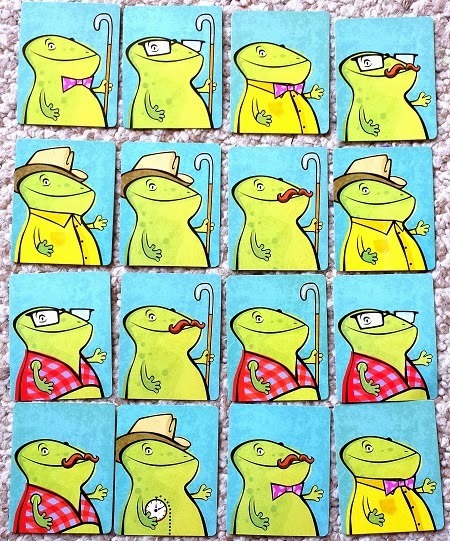 In Tribbit, players are asked to take 16 cards showing pictures of a frog wearing or holding different things which are then categorized (shirt, bowtie, cane, clock, mustache). The tricky part is that each card is usually showing two categories and so to sort them out QUICKLY and beat your opponent is a real challenge. Why is doing it quickly important? Well, as you have read, when I need my quick snappy comebacks, I pretty much embarrass myself. Even when I'm yelling at my kids, I say some stupid things sometimes. 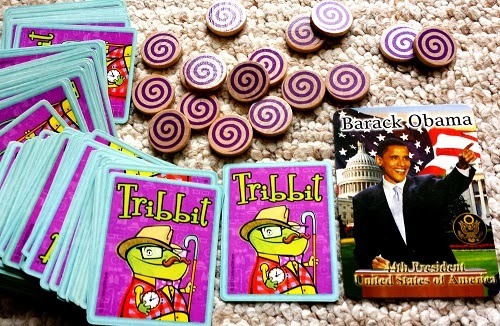 What I need is Tribbit! I need to access those word files in my head and then use them with maximum efficiency. Oh, and my kids need them too. That's why we're here right? I want my kids to be able to use all the words they know. If they don't, it will feel like the way you do when you get something wrong on a test, especially a careless error. Why did they just smack themselves on the head? Because they knew how to solve the problem, the info just didn't appear to them at the time it was needed. Sounds like a "How old are you?" moment to me. 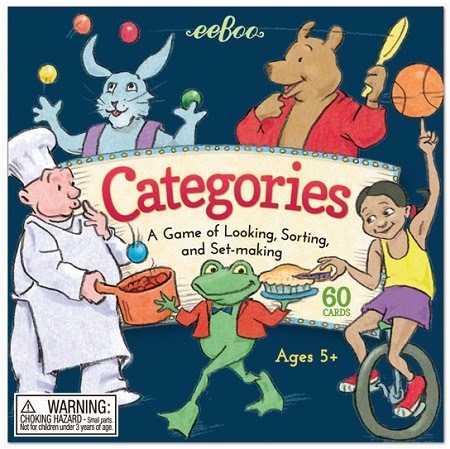 eeBoo's Categories proves that it's never too early to start working on these skills. When you look at the cards, they are all smiling faces of happy spiders or delightful dogs but can confuse my little guy. Why? 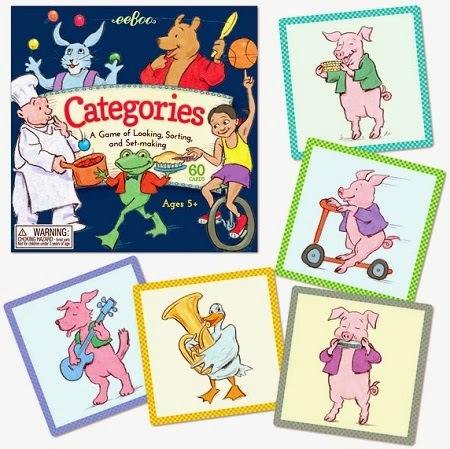 Nicole pointed out that Categories was interesting because it had lots of characters and the categories were broader than Tribbit. However, I should note that there isn't a time limit here which I think is awesome about Tribbit but it's equally great not to have a time limit in the eeBoo game. Can you see the similar categories? Shirts don't count. 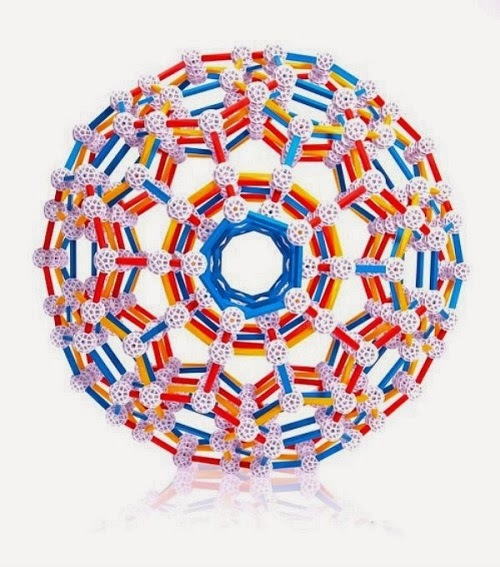 You may see a ball but they are different balls or they'll be wheels on different things, cart, wagon, bike... it all makes you look and then think. I think thinking is a good thing. One of the definitions of the word OBSERVE is: to watch carefully especially with attention to details or behavior for the purpose of arriving at a judgment. This might be why on the Categories box, they write: "Promotes Observational Skills" and I have to say - I AGREE- it does! 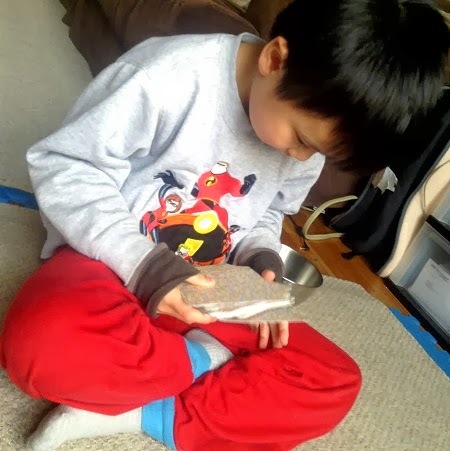 For the eeBoo cards, I think kids need the time to observe and really look at everything. Thus, if we are looking for cards that have wheels then we need to know they can be on skates, a car, ot a cart. The category for hat can be met by helmet, crowns, and hats or all different shapes and sizes. Basically, you can't just LOOK, you have to THINK about what you are looking at. Gosh, do you say this to your kids? I don't think I do enough. Sometimes they are looking but they are still clueless. eeBoo's instructions actually advise you to talk it out. "The bear and the dog both have balls." or "They are both playing ball." It's all part of organizing and practicing use of the folders of your mental file cabinet. However, I really have to know. 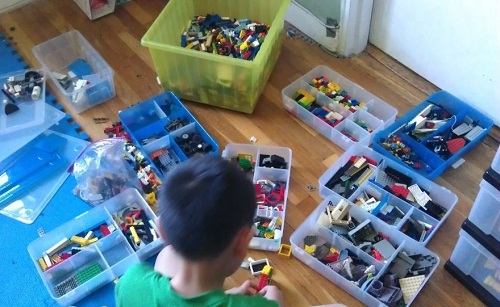 How important is all this sorting and categorizing. Are our brains really file cabinets? Just how important are these skills to our kids' lives? Do they even learn any of this stuff in school? "These skills are learned in school and are essentially needed for life," Nicole relayed. "We all belong to MANY categories and understanding this concept is crucial to interacting with society." Sigh.. I'm thinking about those mean kids again. But she is right. Sorting out your words for later use is important for so many things like self-advocacy. Think about bullying. So much of this is done through the use of language. Wouldn't it be cool to see how a speech and language pathologist - a really savvy one like Nicole could help with problems of bullying? Wow, I'd like to see that! It's good when the cards are small but when they are big like this, it's also quite manageable. I wish you could feel how silky this is! If you are a therapist looking for something that will last... eeBoo always makes things that last and last and last. I never ask readers to like to do this for entry points but I highly recommend that you stay connected to these amazing companies using the PIFT method (Pinterest,Instagram,Facebook,Twitter)- while they may be your virtual enemies of productivity, at this time of the year, you'll be the first to hear of deals, sales, and the new stuff. Save money!!!!!!!!! And now try to win your own Tribbit and Categories! Want to get it on Amazon? Use My LINK!!! I love the Keva Contraptions from the Mindware Store! From the Ultimate List, I like the Q-Ba-Maze 2.0 Mega Stunt Set the most. I think it would be a great physics teaching tool! From eeBoo, I love the Tell Me A Story Cards. The Volcano Island set sounds like it would be interesting! My daughter had a speech therapist who helped us out when she was younger, because she was born early and had a speech delay. She basically just gave us suggestions on activities to help her learn and encourage her to talk. I'm assuming a pathologist is someone who does something similar. For the MindWare products, my kids would really love the Imaginets, which are magnetic shaped blocks. They would be perfect for my kids, who love fine motor activities, especially when it involves something like this! 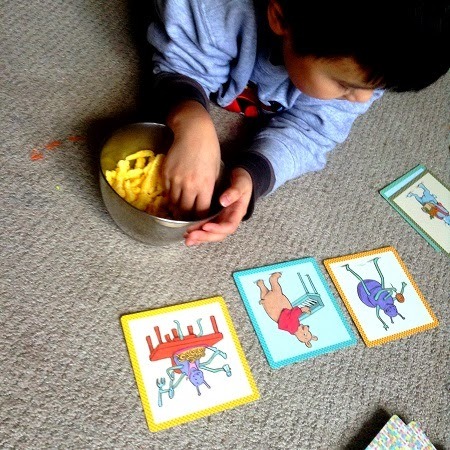 Lots of fun ways to learn with shapes and patterns! I've never seen the Q-Ba-Maze stunt sets in stores, but they look like they would be fun to build and play with! SLPs have the most important job in the school: facilitating communication. It doesn't matter how well I teach, if a child cannot communicate understanding or knowledge, I've got nothing. SLPs help with articulation, pragmatics, and receptive/expressive language, social skills, and phonics and phonemic awareness for starters. I LOVE the SLPs I've worked with both as a parent and a teacher. EB-GMCOM The Community Game, cause I love cooperative play games. 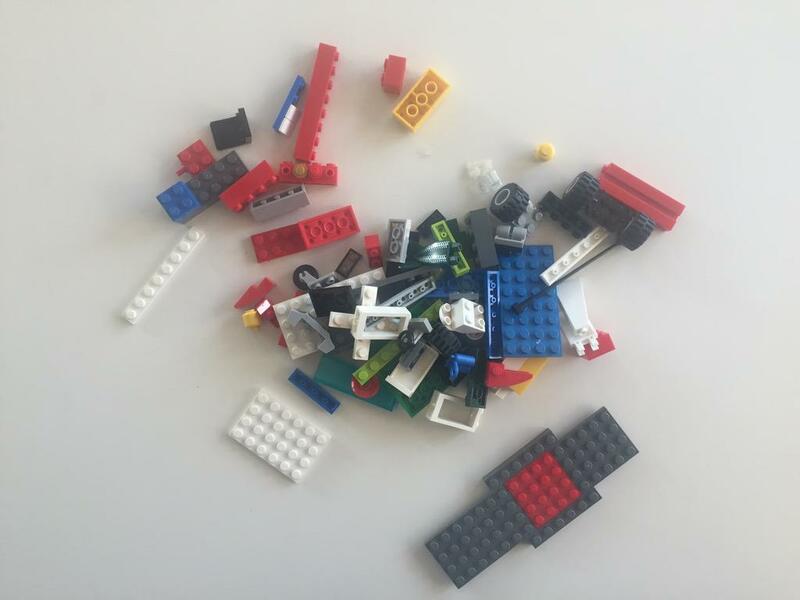 There are many children who don't know how to use visual cues to solve problems (they can't do jigsaw puzzles!) today. I gifted all my puzzles to Kindergarten when I found this was such a problem in my school! 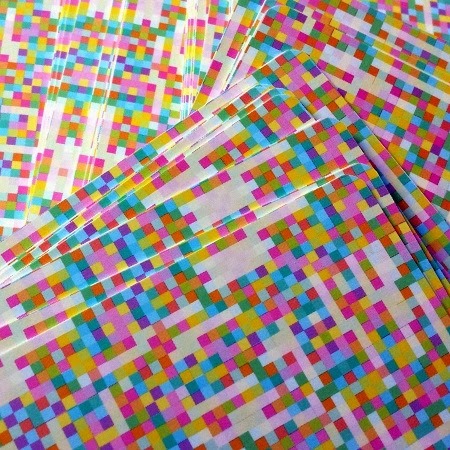 The Community Game is like a puzzle and game all in one--bonus! I think I got lost at eeBoo browsing all the fun toys and games! I really like About Face. I like Imaginets from MindWare. 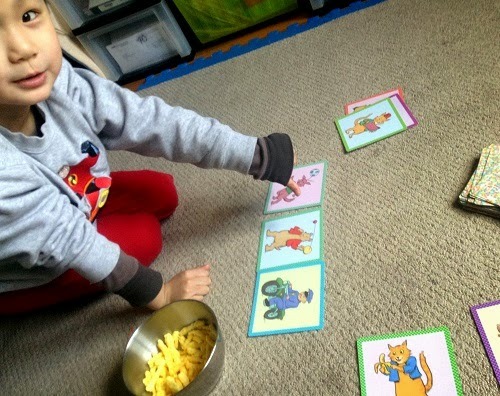 I like that my kids can choose to follow the pattern cards or have fun creating all on their own! I also love that everything is completely contained in the wooden box, making for easy clean up. I haven't seen the Puzzle Maker before. I think the first puzzle I would make would be for my son. It would be a T-Rex because that is his favorite dinosaur.